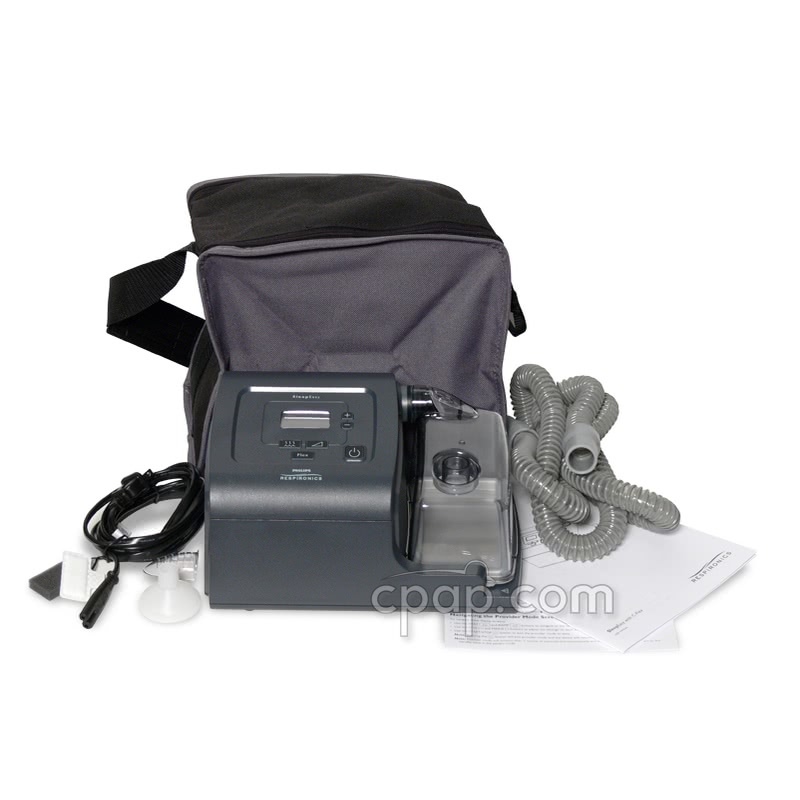 Newer Model Available: SleepEasy II CPAP Machine with Built In Heated Humidifier and C-Flex. People find comfort in simple pleasures. That's why Respironics made SleepEasy as simple as possible. 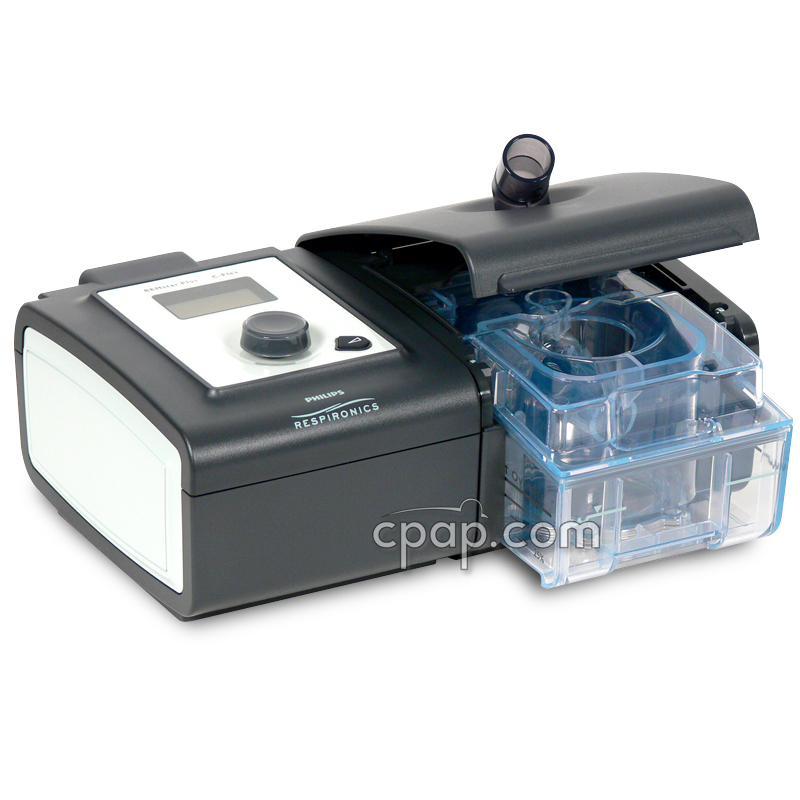 It's a simple, reliable CPAP that you can trust and use. Performance and portability are within reach thanks to the combination of features and appealing design that you'll find only in SleepEasy. Quality You Can Count On. 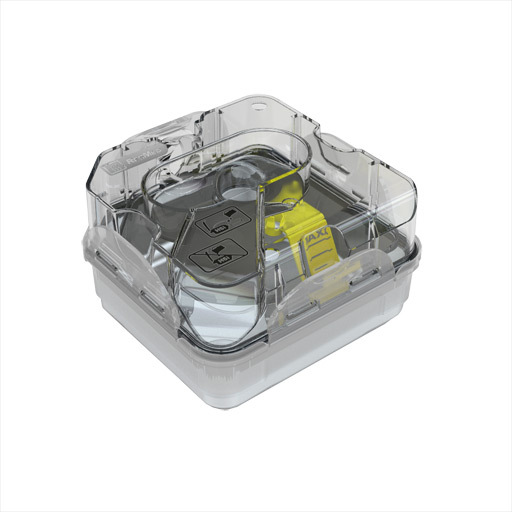 SleepEasy is built in the U.S. and combines proven technologies and designs that have been Respironics standards for more than 30 years. Easy To Use. 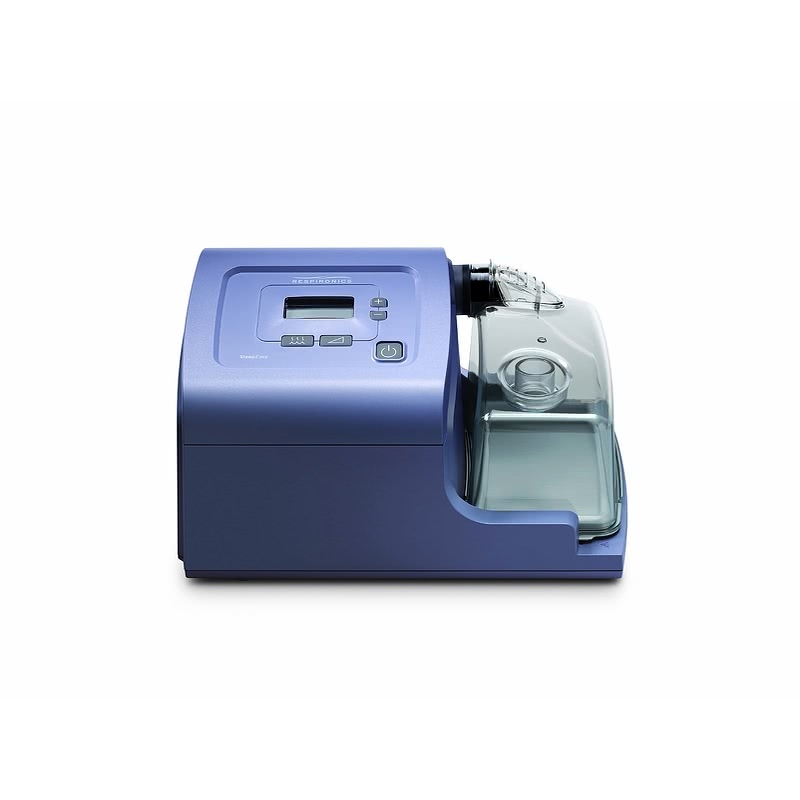 A permanently attached humidifier and clear, tactile control buttons make this sleep therapy system easy to set up and easier to live with. Built In Humidifier. 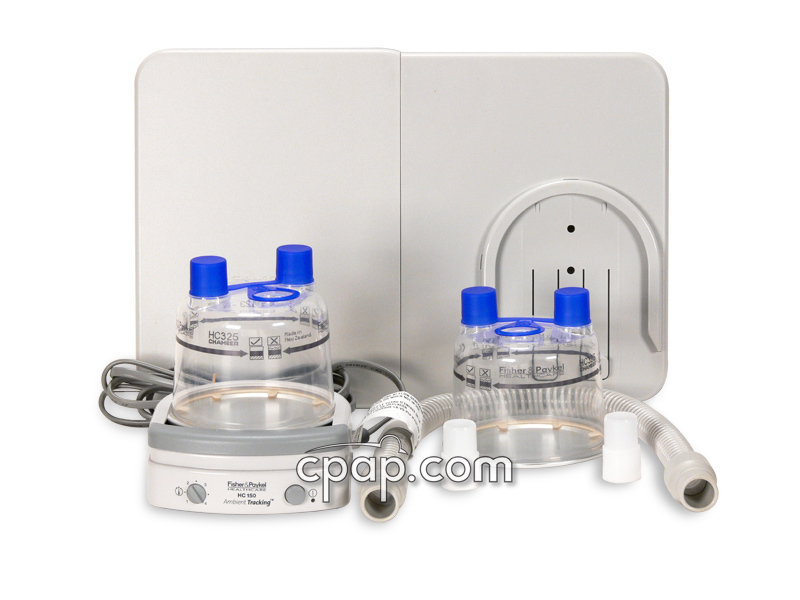 Lets you use heated or pass-over humidification without buying extra pieces. Compliance Only Reporting Capabilities. SleepEasy has our proven call-in compliance reporting technology. 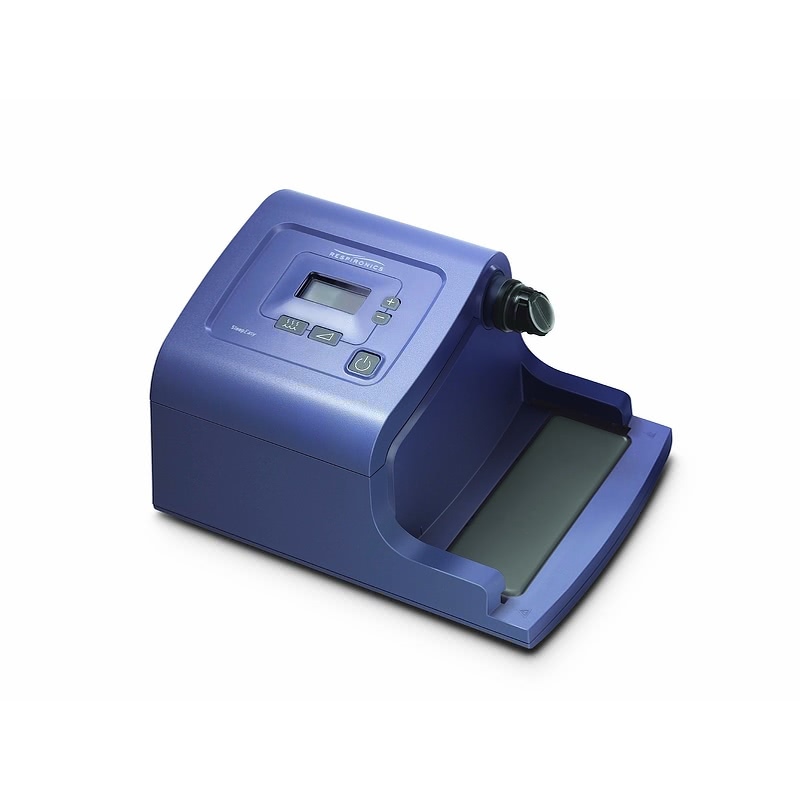 Its advanced controls allow you to manage the device while eliminating unnecessary buttons that could confuse users. 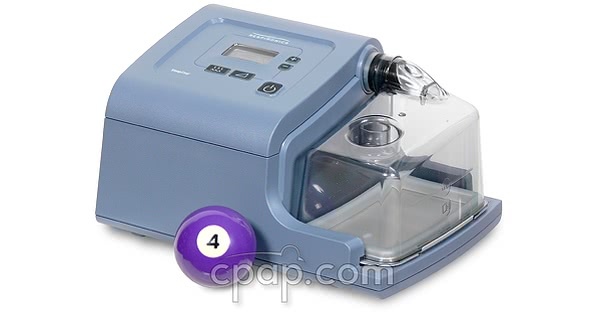 A CPAP That Doesn't Look Like A CPAP. 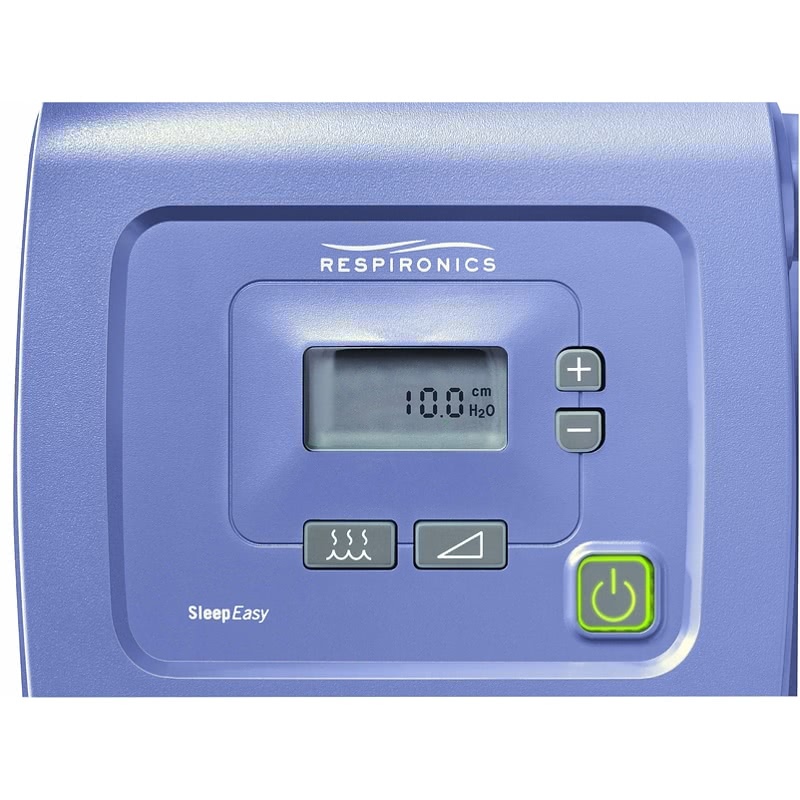 To help make therapy as natural as it can be, Respironics has designed the SleepEasy system to look more like a natural part of a bedroom and less like a medical device. They made it sleeker, smaller and less obtrusive - and its new textured casing will more easily blend into home decor. 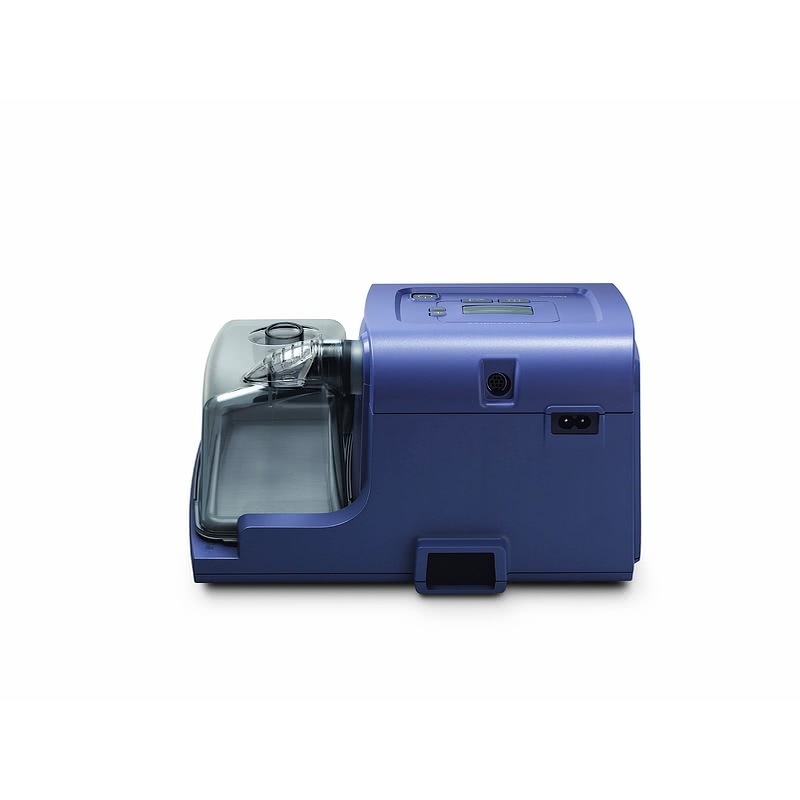 The SleepEasy CPAP Machine with Built In Heated Humidifier does not have a DC port and cannot be connected directly to a battery source. However, an inverter delivering a minimum of 300 watts may be used to change DC current into AC current. 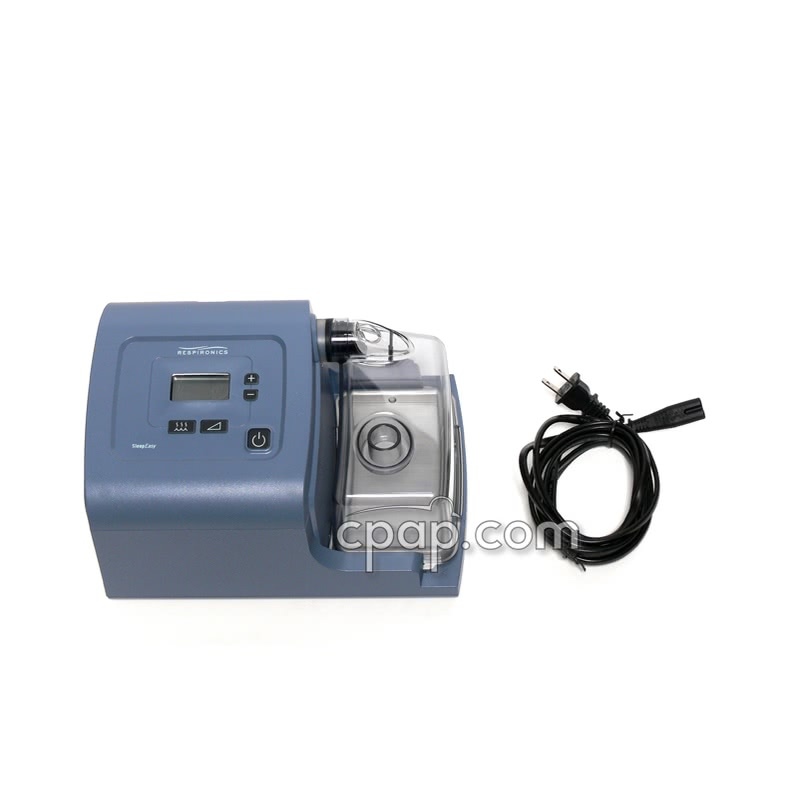 The 300 Watt DC to AC Power Inverter is a modified sine wave inverter compatible with the SleepEasy machine. Looking to purchase a battery and inverter to use with the SleepEasy? 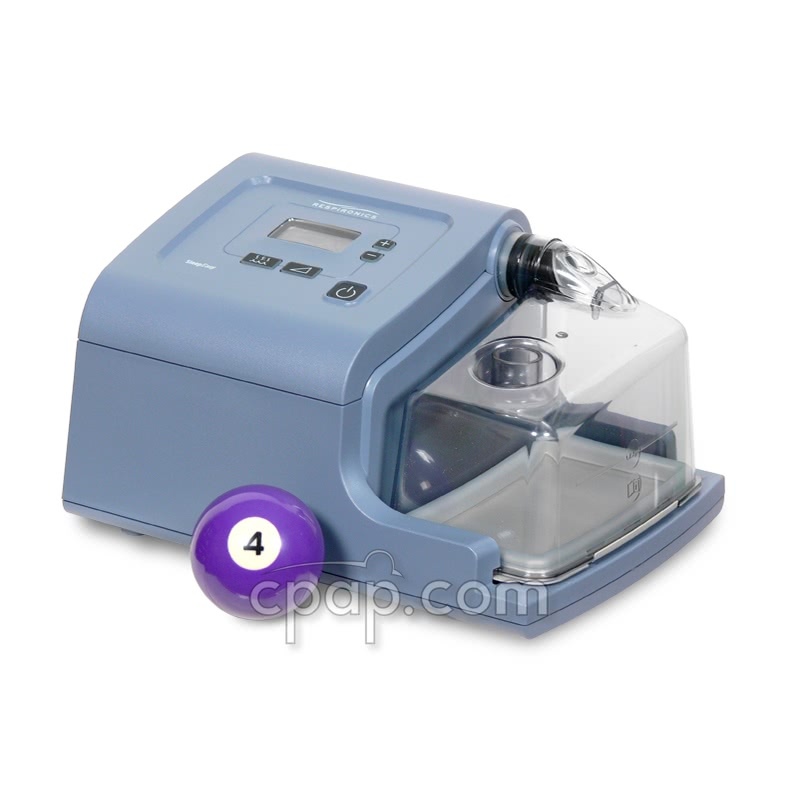 Consider the Respironics Battery Kit with 400 Watt DC to AC Power Inverter.